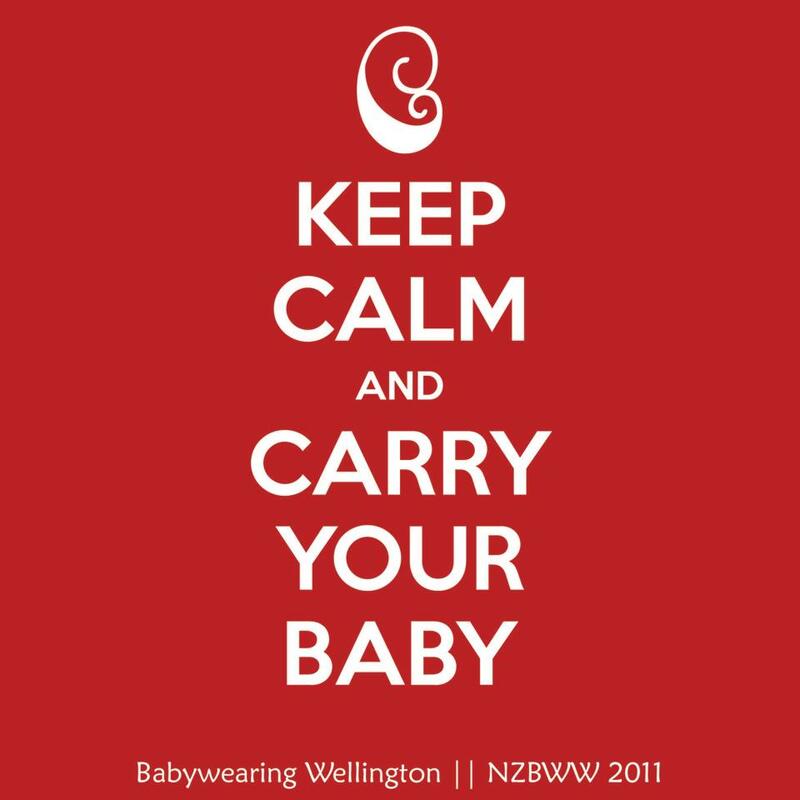 Babywearing Wellington were lucky enough to be sent a travelling Soul Slings SSC to try out and bring along to one of our meets by Treasure U. Soul Slings are a wonderful family run company who support local artisan weavers in Bangalore, India and are made individually, rather than mass produced in large scale factories. 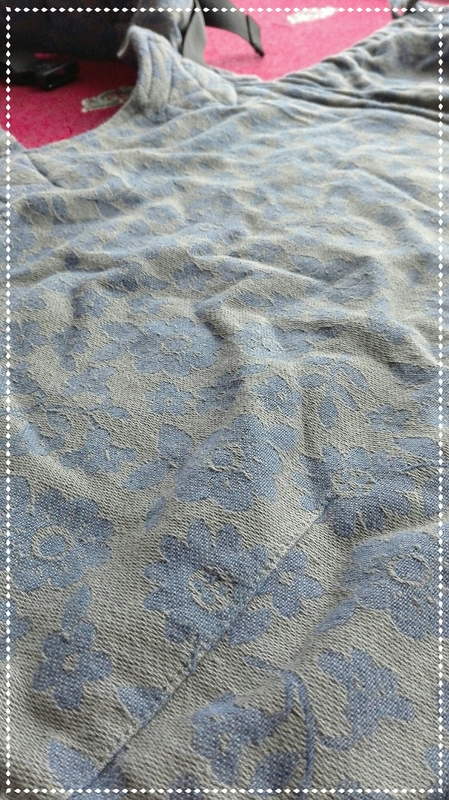 The full buckle SSC is a gorgeous jacquard wrap conversion and is a beautiful grey with purple flowers and was buttery soft and supple, it molded around my two year old perfectly and he was very happy up there – he didn’t want to get down for dinner! I trialed the soul sling SSC with my two year old, who weighs approx 11kg and is in size two pants. I am also 20 weeks pregnant so unfortunately was unable to try a front carry, but i will ask one of the other committee members to try and will add her review here over the weekend. This SSC has a recommended weight range of 7-18kgs, and a width and height of 15.5in and 17in respectively. 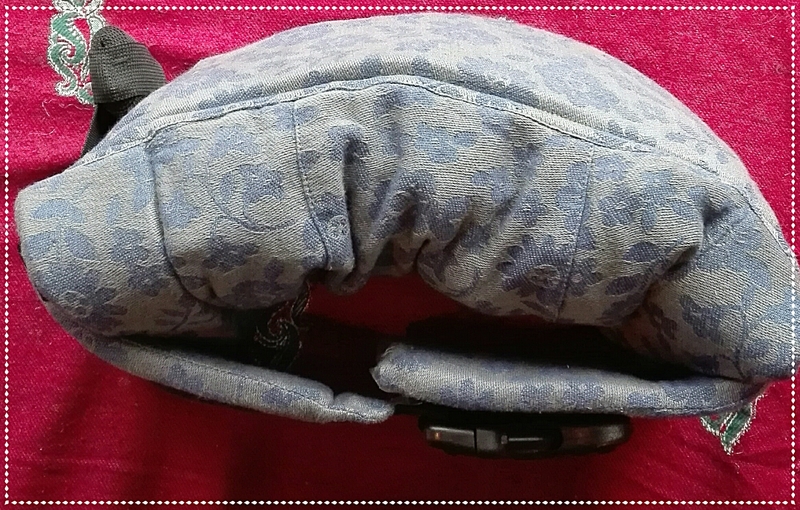 So unfortunately would only be able to be used from around six months old but you will still get a lot of use out of it, and with any wrap or wrap conversion it will only get more and more soft and comfortable! The padding around the legs helped us get a really comfortable and deep seat as well as helping to support my sons legs without digging in and becoming uncomfortable. 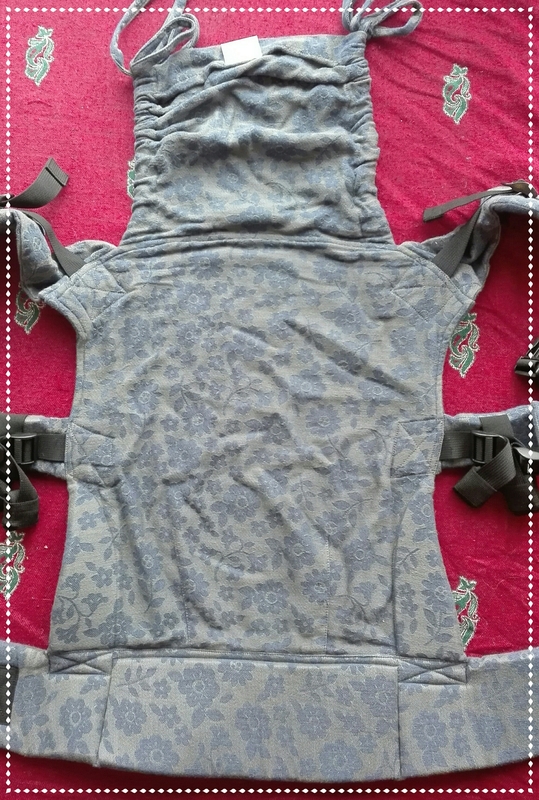 The shoulder straps have three points of adjustment, the personal fit adjusters at the top of the carrier and the straps, as well as two separate adjusters between the straps and center of the body. Having this many points of adjustment allows the carrier to fit many body shapes, although with a high back carry I did find it quite difficult to get everything tight enough to feel weightless and wearable for long periods of time. I think that with practice I would be able to get a very comfortable carry, even as my son gets heavier and heavier. The waistband has a lovely soft padding in it that made it extremely comfortable to wear, especially over a pregnant belly! The soul SSC also has a large hood with straps that cinch it up along the sides for when it is not in use. The buckles are of good quality, the woven fabric is breathable and light, perfect for warm weather! I loved the fact that its light enough to be rolled up and kept in my handbag to pull out when my two year old has decided hes done with walking. 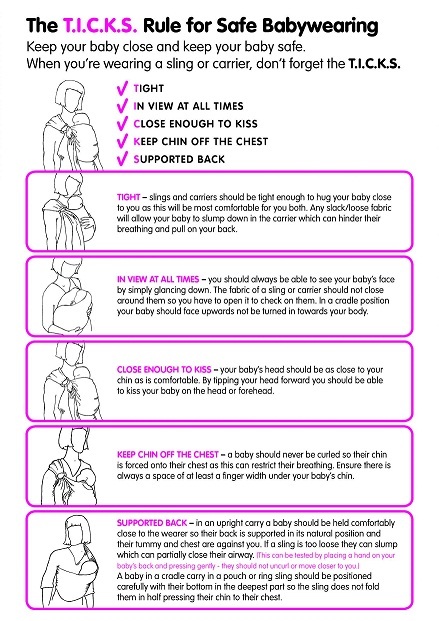 It was simple to put on and with a little practice adjusting would make a perfect carrier for a beginner wearer and their child. 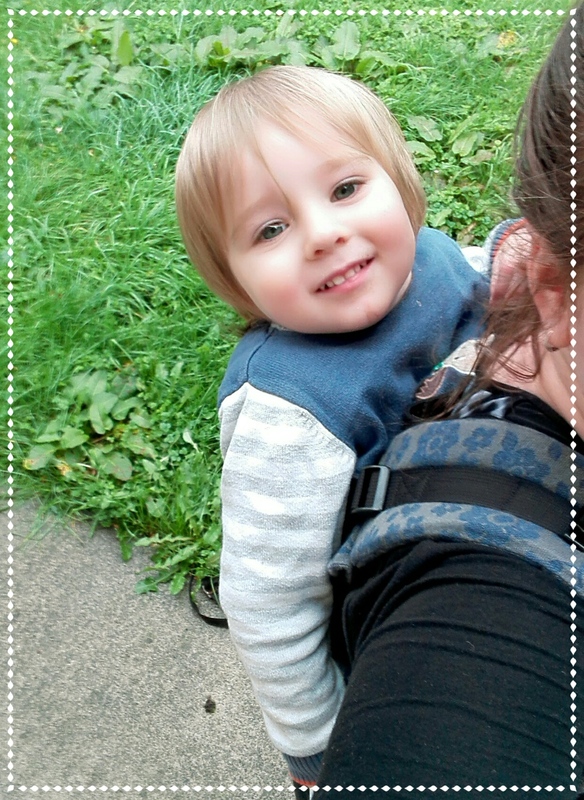 I think Soul Slings have created a gorgeous carrier, and my issues with it were definitely due to user error and a grumpy toddler, I’m sure with a little more practice I would have perfected the fit and carry and be able to wear my son for extended periods of time. We will have this sling available to try at our July sling meet tomorrow, so come along and give this gorgeous wrap conversion a go!